OSAKA - Fukui Gov. 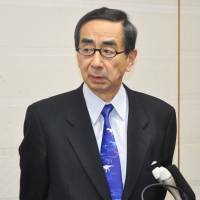 Issei Nishikawa and the mayors of six towns and villages in the prefecture hosting nuclear power plants have called on Defense Minister Tomomi Inada to dispatch Self-Defense Forces personnel to the prefecture to guard Fukui’s 15 reactors (including those being decommissioned) against a possible attack by North Korea. “Ignoring international criticism, North Korea repeatedly launches missiles and conducts nuclear tests. On July 4, it launched a new type of missile, one that fell inside Japan’s exclusive economic zone. The danger of an armed attack on Fukui’s 15 reactors in the south of the prefecture, the largest number in Japan, is rising,” Nishikawa and the mayors said in their request, presented to Inada by Nishikawa in Tokyo on Tuesday. 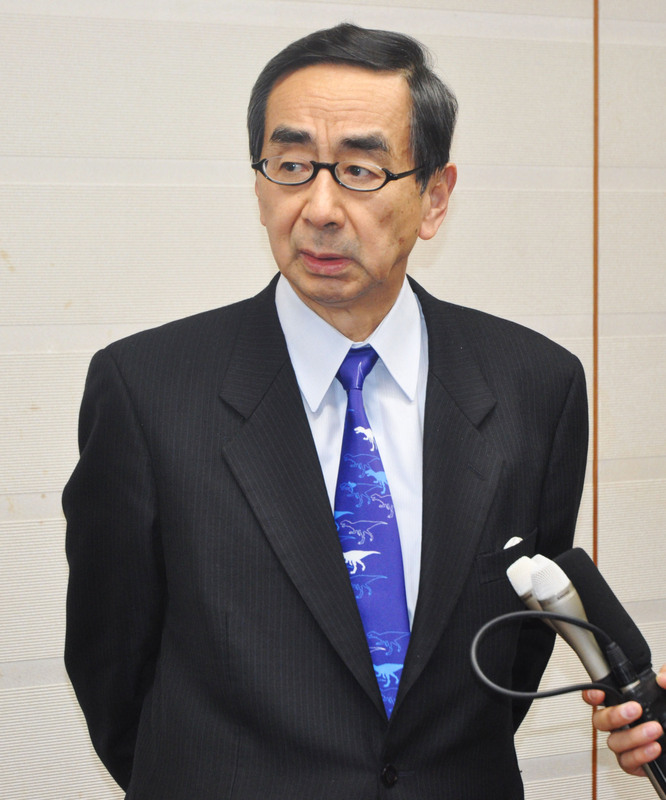 The defense minister was elected from a district in Fukui Prefecture. “In order to deter a missile attack, and in order to secure peace of mind of local residents, we ask that Self-Defense Forces be dispatched to the southern part of the prefecture,” the request stated. In a 2013 report on the nation’s mid-term defense posture for 2014-2018, the Defense Ministry said it will strengthen cooperation with local governments hosting nuclear power plants and take necessary measures to protect them. Nishikawa also called on the ministry to establish a landing area for helicopters that could be used if a large-scale evacuation of residents in towns near the nuclear power plants would be necessary in the event of damage at a reactor. Inada told the Fukui delegation she would instruct the ministry to discuss the adequacy of the current structure for defending nuclear power plants. She also confirmed Self-Defense Forces personnel will participate in a prefectural-led disaster drill scheduled for late August, and that the drill will help make clear how quickly helicopters could respond to an emergency in and around the areas where the nuclear plants are located. Inada has faced a series of scandals and controversies over the past six months and is widely expected to be replaced early next month when Prime Minister Shinzo Abe reshuffles his Cabinet. Fukui hosts a small Ground Self-Defense Force base in Sabae, in the northern part of the prefecture. There is also a large Maritime Self-Defense Force base and a coast guard station in Maizuru, Kyoto Prefecture, which lies within 30 km of some of Fukui’s nuclear power plants.